After purchase, you may download your product by clicking My Purchased Products here or in the sidebar. You must be signed into your account to access the downloads page. NEW BOOK! AVAILABLE IN 5 FORMATS! 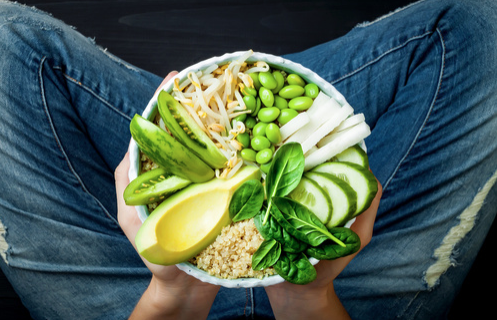 Click HERE to listen to an interview on This Week in America where I discuss Superfood Bonanza: 10 Health-Destroying Foods to Avoid & 10 Superfoods to Consume for Vim, Vigor & Vitality. Think about it this way: What food can you easily produce and enjoy whether you are 3 years old or 93, vegan or carnivore, or are living in an inner-c ity high-rise or on an isolated island? What food is grown indoors with no soil, is harvested in two to seven days, and is loved by children and adults alike? What can supply your family with fresh vegetables year-round, regardless of the season? What food is edible raw or cooked, and is delicious either eaten all by itself or included in an exciting array of recipes? The answer is SPROUTS. "In the pages of Kitchen Gardening, you will learn how to become competent on everything related to sprouting: how to grow sprouts; why sprouts are so salubrious; which sprouts are most nutrient-rich; ways to incorporate sprouts and microgreens into meals and snacks morning, noon and night; how raw foods revitalize the body from the inside out and so much more. You’ll even learn about the Essene, a community where Jesus and his family were known to live and their secrets to living 120 years… and in robust health, to boot. It’s astonishing to me that in only 2-7 days, we can grow nutrient-rich sprouts in a corner of our kitchen, and for only pennies per batch and a couple minutes of our time daily. No matter one’s weather conditions outside, or location in the world, in any size kitchen, you can find space to grow a garden and become an expert at sprouting within a week or two. I am proud to call myself a kitchen gardener, thanks to Susan’s wisdom and guidance in this book. This is the most reader-friendly, beautifully designed in full-color and comprehensive book on the ABCs of sprouting ever, and it will be indispensable in your healthy living program, too. It makes a wonderful gift for family and friends and for anyone who wishes to create a healthier, happier and more rewarding life." 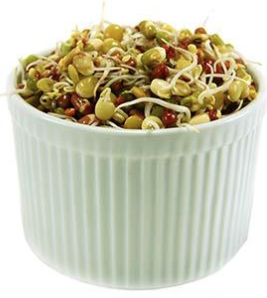 KITCHEN GARDENING: Rejuvenate with Homegrown Sprouts will be your ticket to a more fulfilling, healthy, rejuvenated, detoxified, empowered, and joy-filled life. See below to select the book format of your choice. To read the book's AFTERWORD, click HERE. Below, see how to get a SPECIAL LIMITED EDITION personally autographed to you by yours truly (Susan) and includes a lovely notecard and bookmark. On This Week in America, with host Ric Bratton, we discuss The ABCs of Growing Sprouts & How They Supercharge Vitality - PART 1. Your appreciation for these miraculous gems of nature will blossom as you learn how consuming a handful daily will help beautify skin, improve digestion, bolster energy, support weight loss, prevent disease and more. To listen, click HERE. 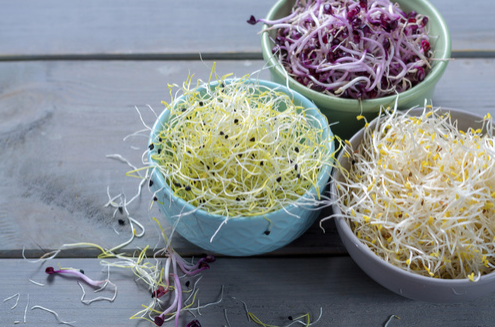 PART 2 - Continuing the discussion and giving a different perspective on the health benefits of sprouts and how to grow them, I join Dr. Karla Calumet on her radio program Here's to Your Health. Our discussion centers around the best seeds to sprout, where to purchase them, seven reasons to cultivate homegrown sprouts, simple tips to start kitchen today, why fresh sprouts should be the cornerstone of a healthy diet and more. To listen, click HERE. Each patient carries his own d octor inside him. You can easily purchase this reader-friendly, life-changing book in a variety of formats such as. . . KITCHEN GARDENING is also available in a beautiful "Special Limited Edition" printed book format with a scored hinge along the spine and gloss lamination on cover that makes this an impressive gift for you and your loved ones, which will be delivered to the address of your choice. Each copy of the Special Limited Edition book will be personally autographed by yours truly (Susan) to you or to any of your friends or family members, and each book comes with a beautiful notecard to you from me and lovely ribbon bookmark. Just give me the name(s) for each personal autograph. The cost for this Special Limited Edition autographed book is $60.00 for each book. This includes Shipping & Handling, if the address is within the USA. Add an additional $15, if the book needs to be sent outside the USA, anywhere else in the world. Send the name of the book along with your payment (Cashier's Check or Money Orders ONLY in US Funds—always available at your bank) to: Health Unlimited, P.O. Box 49215, Los Angeles, CA 90049, attn. Book Manager. All books are sent with loving gratitude and best wishes to you and the other recipients on your list. Remember, the gift of health is the best gift you can give yourself and others. 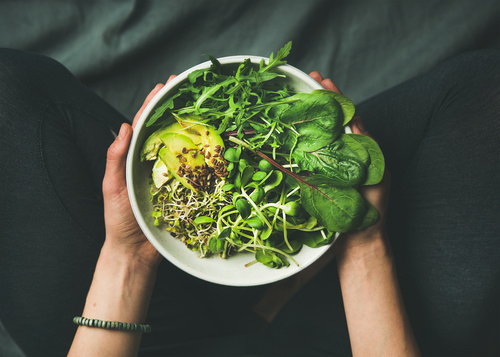 My maternal grandmother, Fritzie, taught me how to grow sprouts and the importance of these nutrient-rich foods when I was a teenager, and they have been part of my health program and kitchen regimen ever since. What feels like years has now really been decades of enjoying the wonderful world of sprouting. I also teach sprouting workshops worldwide, hence my nickname of "The Sprout Lady." 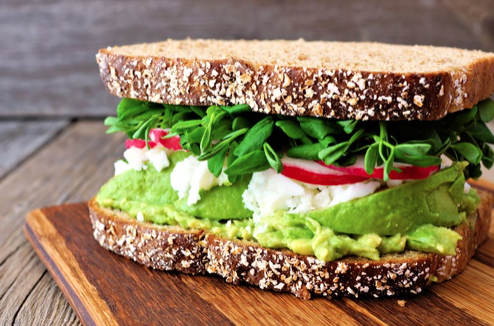 Yes, sprouts are the food for the future, a food you can grow in your kitchen—or almost anywhere in your home or office—for mere pennies and they’re packed with a powerful nutritional punch. When you sprout a seed, such as alfalfa or broccoli, it goes through a very special process called germination. During germination, seeds become alive and undergo many fast internal changes. And the great miracle of this amazing process is a huge increase in a host of nutrients, which are miraculously created inside the sprouting embryo. Below are some of the things that take place in the germination process. Water absorption swells the sprouting seeds from 6 to 10 times their normal size, under tremendous dynamic pressures per square inch. Enzymes immediately become active and create a host of nutritional changes. Proteins are converted into free amino acids. Starches change into simple plant sugars. Minerals chelate, or combine in a way that increases their assimilation. Vitamin content increases from 3 to 12 times. Chlorophyll and carotene content increase dramatically when they are exposed to sunlight. Wheat sprouts, for example, contain four times more folic acid and six times more vitamin C than unsprouted wheat. 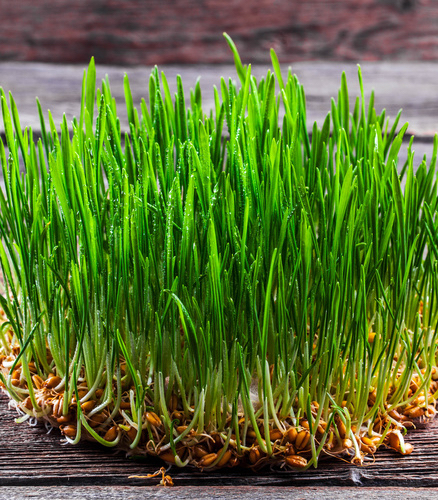 (One of the best nutritional foods you can consume is fresh wheat grass juice.) In studies at the University of Pennsylvania, vitamin C content in some seeds was found to increase up to 700% in just the first 72 hours of sprouting! For this reason, some fresh sprouts contain more vitamin C than citrus juices. This also applies to vitamins A, E, the B-complex and others, depending on the variety of seed sprouted. A Yale University study of grains, seeds, and beans showed that sprouting substantially increases all B-vitamins from 20% to 600%. 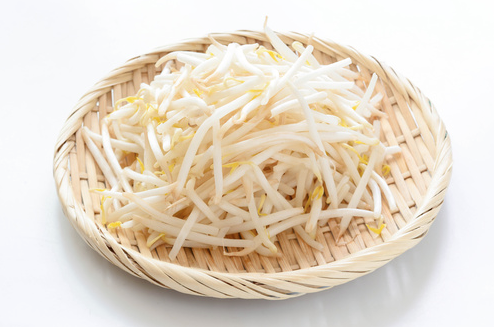 Vitamin E content increases 300% in sprouted wheat after four days of sprouting. Sprouts are complete foods. Their proteins are called “complete proteins” because in correct combinations they contain all the essential amino acids. They are also called “complete foods” because they contain all other essential dietary nutrients, along with the enzymes to help assimilate them. Simple plant sugars such as maltose are easily digested and enter the bloodstream quickly. 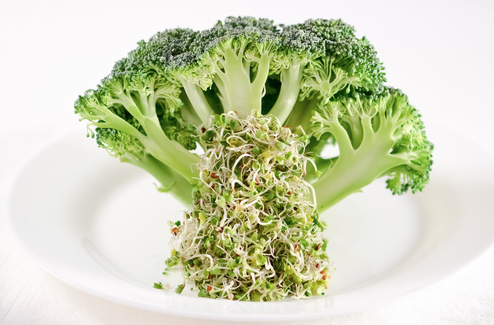 For this reason, sprouts are also classed as “quick-energy” foods. Sprouts are live foods because they are living plants. 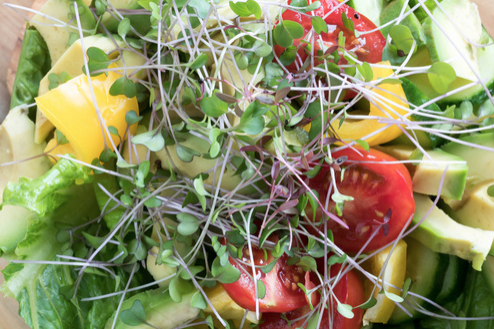 Next, we’ll take a closer look at some of my most favorite, delicious, and nutritious sprouts and other ways they benefit your body. 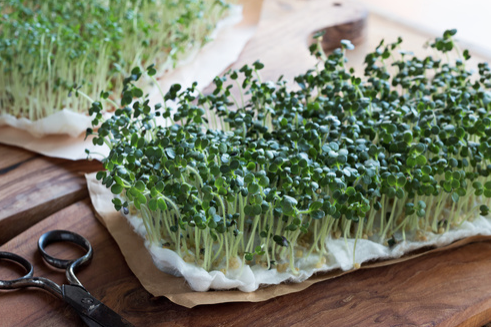 In the meantime, I hope you’ll start growing fresh sprouts in your kitchen. With only a few minutes weekly, and taking up little space in your kitchen, you can grow, harvest, and enjoy fresh sprouts weekly. 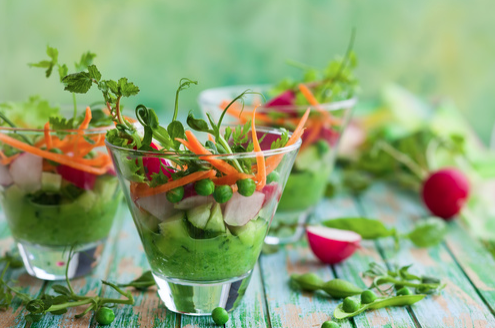 There is absolutely no substitute for greens in the diet! If you refuse to eat these 'sunlight energy’ foods, you are depriving yourself, to a large degree, of the very essence of life. In this book on the health benefits of sprouts, live foods, and healthy living, you are learning about why sprouts are my all-time favorite superfood and about my passion for educating others about their life-giving attributes. Before I highlight some more benefits of sprouts, let’s take quick look at how miraculous is the human body and its ability to heal itself, if given to right food and loving care. What happens when you cut your finger? It heals itself. It’s a miracle to me. Sometimes though—due to our carelessness—it festers, becomes infected, and begins to give us pain. Pain is our body’s signal to us that it needs help. With a cut finger, the course of action is obvious. Clean it and disinfect it. But what about tiny, invisible “cuts” that we can’t see, which are happening inside our bodies all the time? What do we do about subtle messages of pain coming from them? Too many of us reach for the nearest chemical “pain-reliever,” when we could be doing something more—and better. There is a sword stabbing inside our bodies — a sword that is cutting a swath of ill health in millions of Americans and people worldwide. Our bodies are being damaged inside, invisibly and mercilessly, by toxic chemical reactions. Toxic chemical additives and hazardous wastes in our air, water, and food supplies will continue to pervade our living and working environments. These toxins are returning to us in everything we eat, drink, and breathe. Thankfully, though, much of the internal damage they do heal automatically, like that cut on our finger. However, when our body is not adequately nourished, it can’t neutralize and expel these poisons fast enough. They build up in our body, and so does the invisible damage they do. Toxic build-up can severely damage our immune system. So how do sprouts help heal the body? A body that is toxic is like a cut with dirt in it. It is contaminated and may not heal properly. It needs to be cleaned out and given the nutrients it needs to disinfect, detoxify, rebuild, and heal itself. Many of us have already recognized this fact of life and have altered our lifestyles to avoid as many chemicals as possible. Some of us have also recognized this fact of health and are being more careful about our nutrition. There is a food source in Nature that’s full of concentrated nutrients that can help our body detox and rebuild our immune system. I’m sure you can guess the food. That’s right—the answer is SPROUTS! This is a story about another miracle—a tiny one that we may have overlooked. Consider the parable of the mustard seed. Inside this tiny little seed rests the future mighty plant—a plant that will be many times larger than that tiny germ of life from which it sprouts. A plant that will produce many more seeds, each with another plant resting inside. The mustard seed, then, is much more than a symbol of infinity and of man: it is infinity itself in living form. Every seed is a plant embryo, waiting for the right conditions to respond with life and germinate into a shooting plant body. Some, like ancient Egyptian wheat, wait for thousands of years. When a seed meets the right combination of moisture, air, and temperature, it begins to sprout forth very fast. Just like us, it strives to emerge into the world with a healthy body and to grow up big and strong. 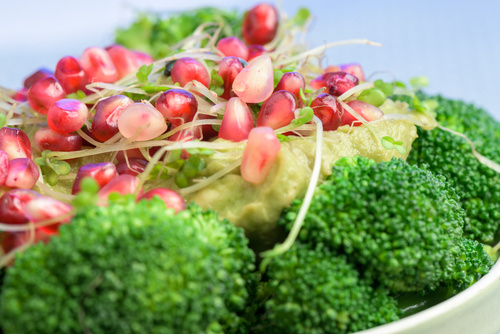 For this reason, sprouting seeds produce a wide and abundant array of concentrated vitamins, minerals, trace elements, enzymes, growth hormones, amino acids, simple sugars, essential fatty acids—all of which are essential to human health as well. These nutrients are charged with energy—the energy of life. 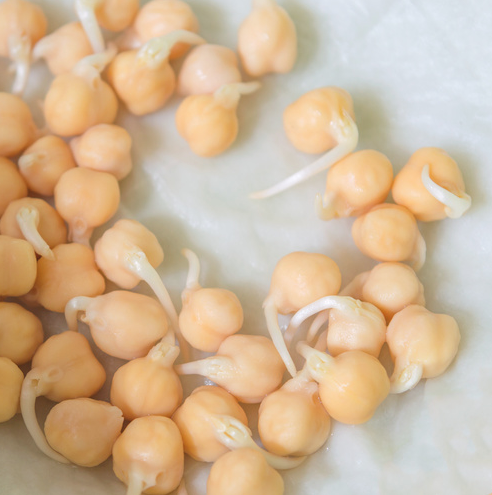 Instead of the nine months it takes for us to develop in our mother’s womb, however, these sprouts are ripe and ready for the world in just a few days. I submit that scientists have not yet explored the hidden possibilities of the innumerable seeds leaves, and fruit for giving the fullest possible nutrition to mankind. Then God said, I give you every seed-bearing plant on the face of the whole earth and every tree that has fruit with seed in it. They will be yours for food.